Matt Reeves has confirmed that Batman will remain part of the DC extended universe. The 'Batman' director - who took over film-making duties from Ben Affleck on the project - took to Twitter to clarify the future of the character after quotes from an old interview surfaced, which people interpreted to mean that the Caped Crusader would not appear in any upcoming ensemble movie. He tweeted: "Jeez, what'd I miss, guys...? Just to be clear: Of COURSE Batman will be part of the D.C. Universe. Batman will be BATMAN. "In my comments from a while back about not being part of the DCEU, I was talking about The Batman being a story specifically about Batman... not about the others in the Universe. That it wouldn't be filled with cameos servicing other stories -- that it would be a BATMAN story (sic)." Matt's previous comments, which confused fans, came on The Business podcast last month, where he said: "I have a vision for a way to do something with that character that feels like it resonates with me personally. When they approached me, what they said was, 'Look, it's a standalone. This isn't part of the Extended Universe." Meanwhile, Matt recently revealed that he is making the project his own by ditching Ben's script, although Ben will still star as the titular superhero. He said: "It's a new story. It's just starting again. I'm excited about it. I think it's going to be really cool." Matt has also teased that 'The Batman' will be like a film noir crime drama focusing on the superhero's detective skills. 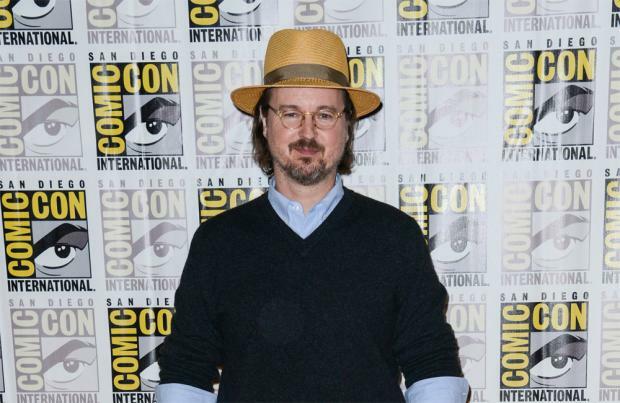 Reeves wants the latest adventures of the Caped Crusader to allow audiences to "see inside his head" and "his heart" and allow them to understand why he is known as 'The World's Greatest Detective' in the DC Comics universe. He said: "I think there's a chance to do an almost noir-drive, detective version of Batman that is point of view driven in a very, very powerful way that is hopefully going to connect you to what's going on inside of his head and inside of his heart." Previously discussing his decision not to direct the project, Affleck explained he stepped away from behind the camera to concentrate on giving the role of Batman the "passion" it deserves. He said: "There are certain characters who hold a special place in the hearts of millions. Performing this role demands focus, passion and the very best performance I can give. It has become clear that I cannot do both jobs to the level they require. "Together with the studio, I have decided to find a partner in a director who will collaborate with me on this massive film. I am still in this, and we are making it, but we are currently looking for a director. I remain extremely committed to this project, and look forward to bringing this to life for fans around the world." The 'Batman' is scheduled for release in 2018.